Home Uncategorized Security forces kill seven terrorists in J&K. Security forces kill seven terrorists in J&K. With the killing of another terrorist in Shopian encounter, the death toll in four different counter-terrorist operations in Jammu & Kashmir’s three districts of Baramulla, Bandipora and Shopian during the past 24 hours has reached seven.Seven security personnel including an officer and few paratroopers were also injured during the encounters. 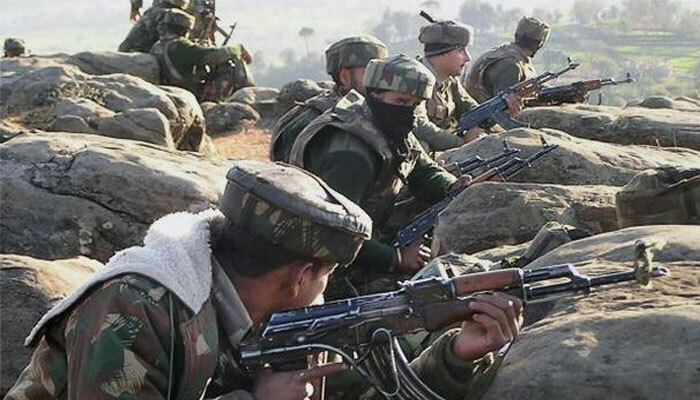 The counter-terrorist operation in Kalantra Kandi Kreeri of Baramulla district concluded with the killing of two terrorists. One among two slain is from Sopore area while another slain was established as a Pakistani national. Both are affiliated with terror outfit Jaish e Muhammad. Most of the slain terrorists belonged to LeT & Jaish. However, officials said the identity of the remaining slain terrorists is being ascertained.They said gunfight is still going on in Shopian & Sopore areas as some more terrorists are still holed up. Next articlePM slams opposition for insulting armed forces.